The Classic range from Miller features a selection of creative and practical products. 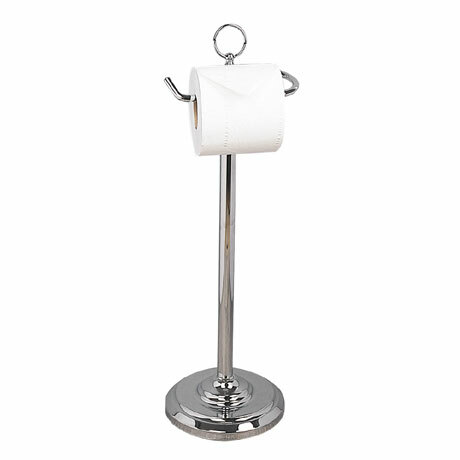 Designed and developed with careful attention to detail, this elegant freestanding toilet roll holder is an ideal addition to any traditional or contemporary bathroom and is beautifully finished in polished chrome. Manufactured from the finest materials and backed by a 10 year guarantee against faulty workmanship. Very good quality and heavy enough not to be knocked over.